The primary objective of the Airframe/Structures sub-team is to engineer a feasible and suitable skeleton for the rocket flying towards an altitude of around 10,000 ft. Which encounters high pressure differentials and high speeds throughout the flight. - The material of the of the entire rocket tubing is fiberglass, for radio frequency transparency and manufacturing ease. - The fins and its attached lower section of the rocket are made of aluminum due to being pre-manufactured and saving the team much-needed time. - The nose cone of the rocket is of a von Kármán shape, due to its shape being excellent for the range of transonic speeds our rocket will be flying through. The primary objective of the Avionics/Electronics sub-team is to deliver the "brain" of the rocket. The image to the left, in the middle between both long tubes is the avionics coupler bay, in that compartment there are multiple batteries and sensors that power and do every essential function of the rocket. - We are using the 'Eggtimer TRS' as our GPS. This little guy (sensor) can help us track the location of our rocket after very high flights. - We are also using another key sensor known as the 'StratoLoggerCF' which records the peak altitude and maximum velocity of the rocket after liftoff. - Lastly, we are powering these sensors and others with a 7.4V LiPo batteries. 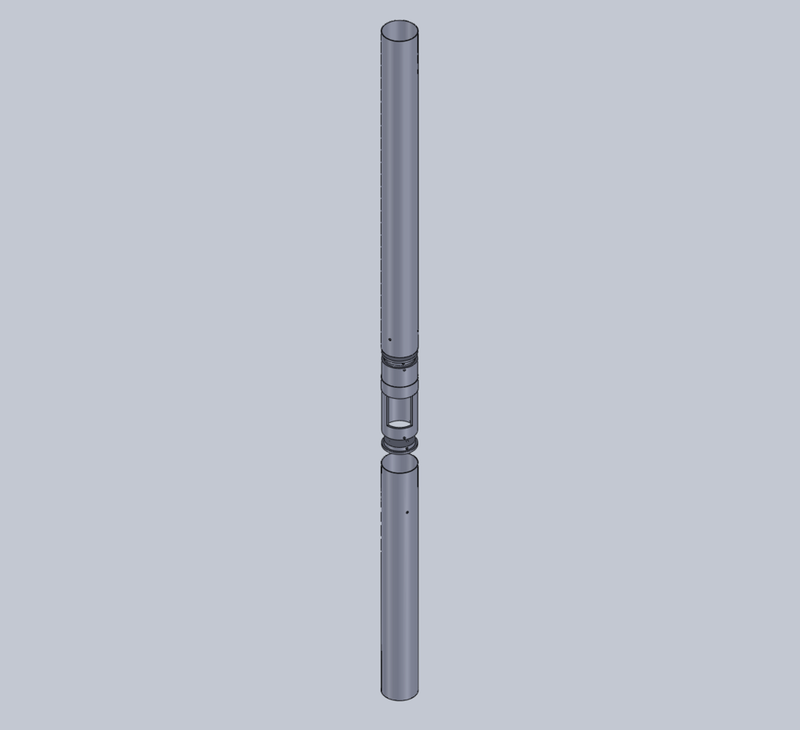 The primary objective of the Motor Ejection sub-team is to handle the infrastructure design of motor ejection canisters being connected to electrical igniters for each ejection charge located within the rocket. In this case being two, since it will deploy multiple parachutes. - Both ejection charges are each located at different connections in the airframe. The first is found at the connection between the nose cone and avionics coupler bay. The second is between the avionics coupler bay and the booster section part of the rocket. - Ejection charges require black powder to separate compartments. For the first ejection charge, it will require an estimated amount of 1.06 grams. While the second is estimated to be 1.60 grams. The primary objective of the Recovery sub-team is recover the rocket after it reaches apogee. Once the thrust from the motors fade, it is up to the recovery system of the rocket to return it safely to land for another flight. - There is two different parachutes within the rocket, the main parachute and the drogue parachute. The drogue parachute is responsible for deploying after apogee and the main parachute is released after descending to around 1500 ft.
- Why two parachutes? The drogue parachute lowers the descending rate of the rocket right after apogee and the main parachute makes the descending rate almost next to nothing close to the ground. The primary objective of the OpenRocket Simulation sub-team is to simulate multiple flights of different rocket prototypes to decide on which rocket design may be the best to improve off and continue design iterations from. 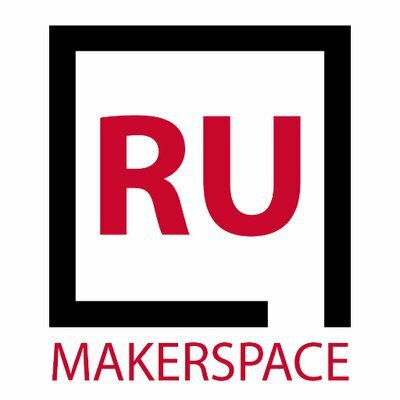 We make use of the Rutgers University Makerspace, located at 35 Berrue Cir, Piscataway Township, NJ, right here on campus. Utilizing their state of the art Shopbot CNC router, wood and metal shop, electronics workbench, 3D printers, and laser cutters allows us to stay on the cutting edge of manufacturing technology.